Does Everyone in the United States Need a Social Security Card? Home Running Your Business Does Everyone in the United States Need a Social Security Card? If you’re a business owner in the United States, you’re familiar with the Social Security card. As a matter of fact, if you so much as live in the United States, you know that a Social Security card is essential. The initial purpose of the card was to track individual beneficiaries for the Social Security program. However, today the Social Security card is used for so much more. As a matter of fact, your Social Security number has become your personal identifier. To avoid identity theft, you need to safeguard your Social Security number at all times. Never disclose it publicly. As a matter of fact, disclose your Social Security number only under the strictest of conditions. People who might need to see your card are banking officials, employers, and credit card companies. Your Social Security card is an important legal document. If you don’t already have a Social Security card, you can complete a form known as an SS-5. You can also search online to get more information on the topic. Submit the completed form along with two documents that will allow the Social Security Administration to verify your identity and citizenship. There are three types of Social Security cards. US citizens and permanent residents get one type of card. This card will have your name and a nine-digit Social Security number on it. Another type of Social Security card is issued to people who are not eligible for employment within the United States. A third type of card is issued to people who are eligible for work in the US, but only with DHS authorization. This type of Social Security card is generally issued to people who have temporary work authorizations in the United States. The Social Security program in the US is a financial benefit program. US workers pay money into the Social Security system throughout their working life. It is a form of government-sponsored insurance that people have come to rely upon when they reach retirement age or when they become unable to work because of illness or injury. There are three main programs in the Social Security program. These are Social Security retirement benefits, Social Security disability benefits, and Social Security survivor benefits. When a US worker reaches the age for retirement, he or she can apply for your Social Security retirement benefits. At that time, they can begin to draw from their contributions into the program. The government will send the person a monthly benefit payment based on the financial contributions they made during their working life. If a worker should become seriously ill or meet with an accident during his or her working years and become disabled, that worker can apply for Social Security disability benefits and collect a monthly benefit payment. In the case of the death of a worker, the family can draw Social Security survivor benefits. When you start a new job, you need to provide your Social Security card to your employer. When you open an account with a financial organization in the United States, you will need to provide your Social Security card to a banking official. While you apply for any federal loan, you will need to provide your Social Security card. 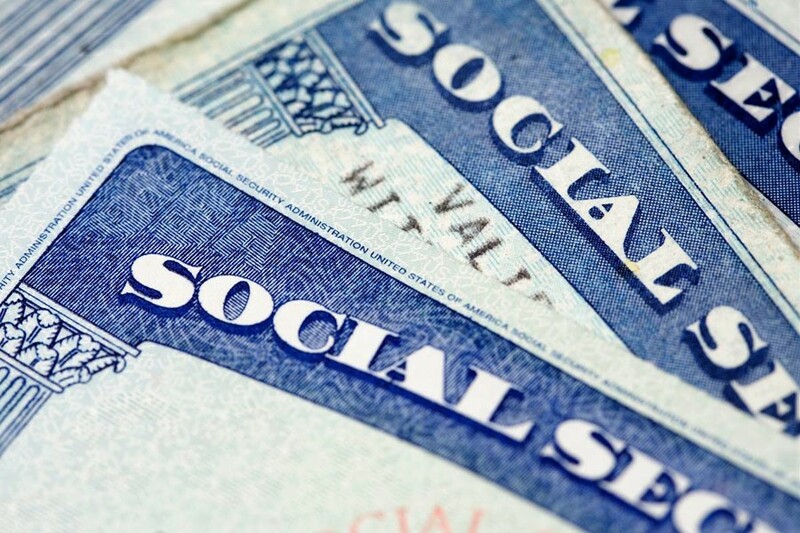 The Social Security card has become a mainstay in everyday life in the United States. However, it is an important legal document that you must safeguard at all times.